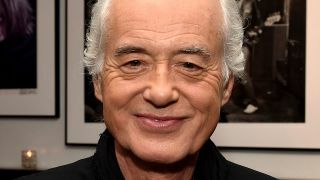 Led Zeppelin’s publishing firm have launched an appeal over $800,000 in legal costs incurred during the trial over Stairway To Heaven. A jury found in June that Jimmy Page and Robert Plant had not plagiarised Spirit guitarist Randy California, whose composition Taurus was said to be notably similar to Led Zeppelin’s classic track. But Judge Gary Klausner later ruled that Warner/Chappell Music were not entitled to have their costs covered by California’s estate, represented by lawyer Francis Malofiy. Klausner said that the suit had carried enough merit to go to trial, and that there was no evidence of “nefarious motives” on Malofiy’s part. Now Warner/Chappell have applied to have the costs ruling overturned, citing “extensive and ongoing litigation misconduct” as the reason their claim should be reconsidered. Included in their paperwork is the argument that Malofiy commenced his lawsuit in the wrong court, and that he was responsible for over 100 sustained objections during the trial. Malofiy launched an appeal against the plagiarism verdict in July, although the legal principles at its core are unclear, leading experts to avoid speculation on its chances of success. Meanwhile, guitarist Page has confirmed he’ll appear on BBC2’s Later With Jools Holland during the first episode of its new season. The show will be recorded on September 13, when Page will discuss Led Zeppelin’s Complete BBC Sessions, to be released on September 16.